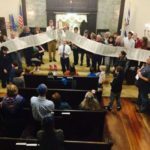 After 92 years, Congregation Beth Israel bid farewell on Oct. 14, 2017, to the building that we have called home at 2200 Broadway. Following are recollections from congregants about our time here. Weeping willows weep no more, their branches left the sky. 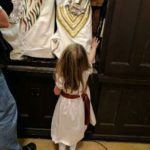 The curtain of the Ark is down; the Torahs have said good-bye. with the breath of Sarah and Abraham curled inside our DNA. The memories remain inside us, glowing deep within our hearts. The present and the past are one as we pack up and depart. 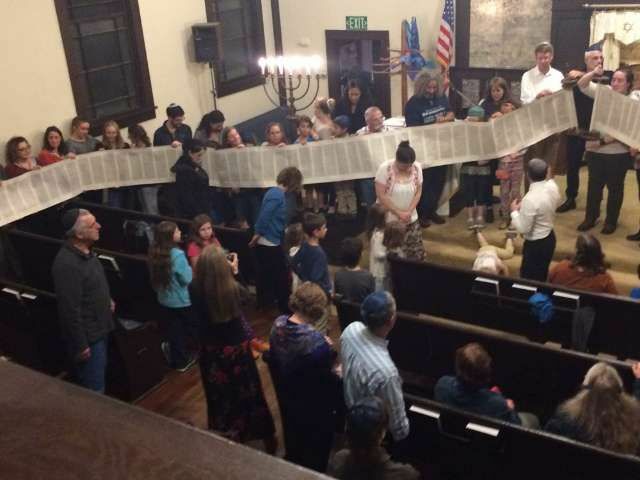 This Jewish light that binds us will surely grow and thrive. The V’ahavta guides us as we reach towards the dawn. awaiting our grand entrance with our chant L’dor v’dor. So incredibly sad to leave this place. So many celebrations, remembrances, lifecycle events. So much challah, rugelach, shakshouka, hummus, bagels and lox, hamantashen, sufganiyot, latkes, latkes, latkes, curry, beans and rice, gefilte fish, horseradish, and matzah balls eaten. interactive trips to Israel and Ellis Island. So many prayers for peace and healing. So many who chose this path to God. So many lulavim and etrogim shaken in so many sukkot. 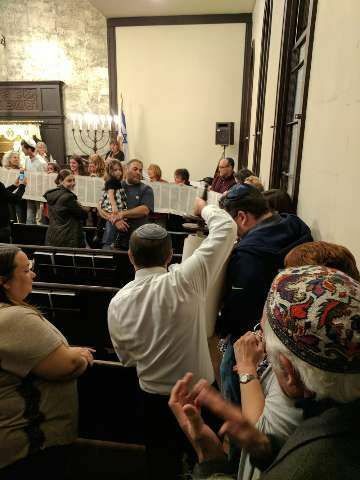 So many adults dancing with joy as our precious Torah was carried by. 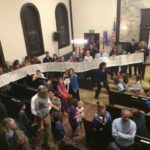 So many little children dancing with joy as they were encircled with the fully unrolled Torah scroll. So many women in the balcony. So many arms around so many shoulders as we swayed to Oseh Shalom. 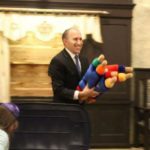 raising so many children in Jewish homes. 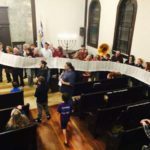 So many chanters of Torah and Megillah. brimming over with memories and soon will arrive at our new empty vessel. 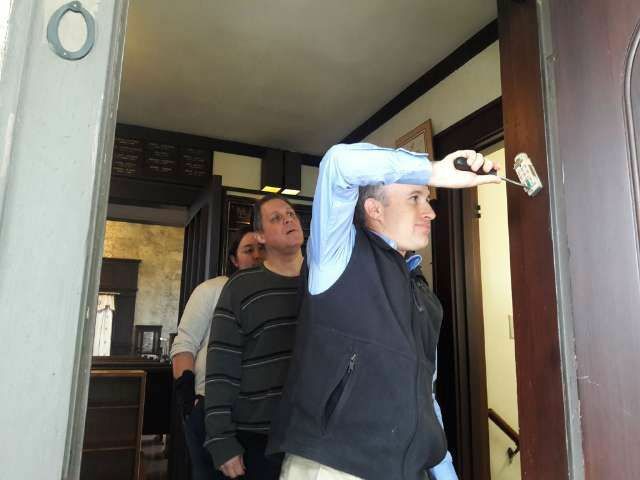 We’ll lament the loss of our old and familiar home, and we will begin filling our new home with memories. May it be so. 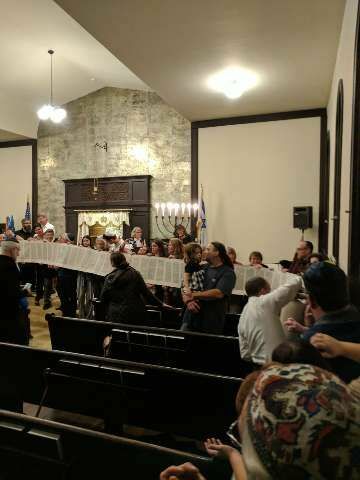 It was Friday evening October 13, 2017, and almost 73 years after my first Shabbat service at our 2200 Broadway at Irving Congregation Beth Israel. 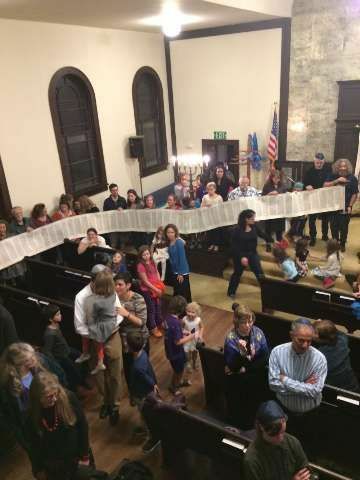 The enlightening spirit and palpable energy of the Simchat Torah service was completely remarkable; and the large crowd attending, the happiness exuded, & satisfaction of all with the congregation and our Rabbi, made its last wonderful statement for this celebration & our old Shul. 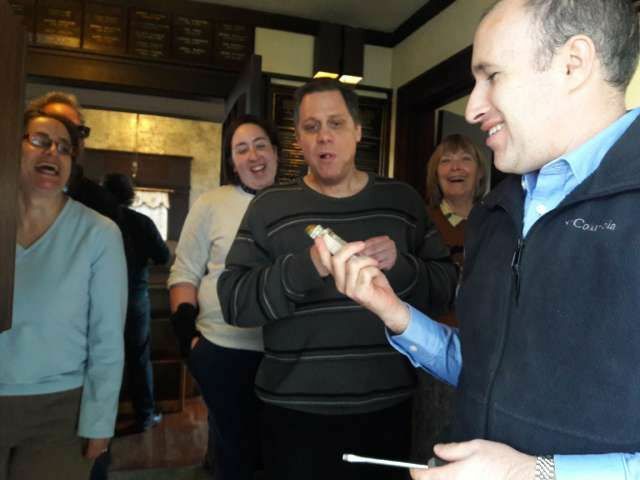 Hi, I’m Emil Hecht and I grew up here at CBI and my Bar Mitvah plaque from 1954 speaks to my age and first recognized Bar Mitvah of the Rabbi Fred Gartner era. I recall many, many sweet memories and tremendous change of the years. 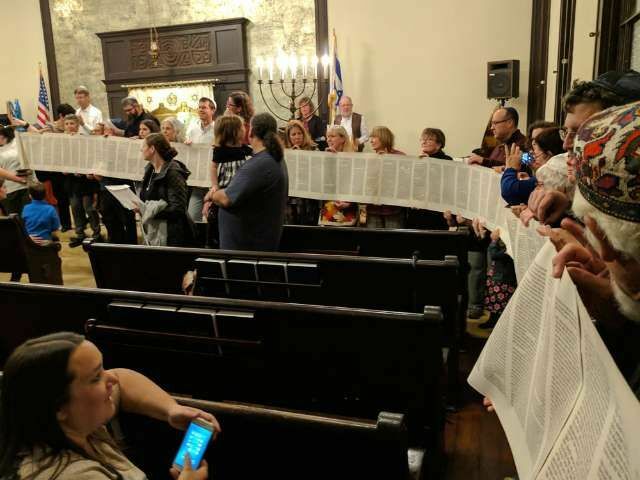 Way back, I recall walking to Shul with my grandparents from Walnut street…my grandmother sitting in the upstairs balcony with the other women. Eventually the women moved down to sit with their families. I recall reading Torah here from the raised Bimah in the front middle rows facing the ark, before the remodel. 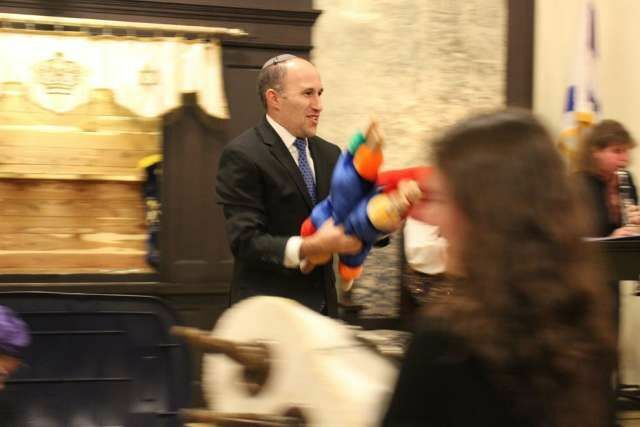 Of course we had our Sunday School classes, especially with Francis Garmo teaching us downstairs and then moving up to the Rabbi’s study for post Bar Mitzvah learning. 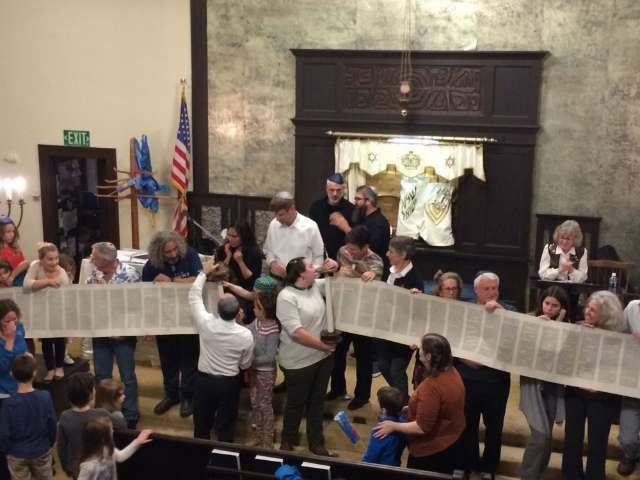 70 years in close connection with the building and the services dovining with members & then all the many and different Rabbis. The holidays, plays & life cycle events of parents, grandparents, sister, & friends were all here. All of our family Bar and Bat Mitvahs & my wife’s conversion study also. But mostly, it has been the awesome spirit of the place…the love, caring, & teaching that made it special. When we had a personal or family crisis, deep questions, or concerns….Here is where we came….and got advice & comfort, but mostly to seek our GOD, and find our creator and the help we needed! 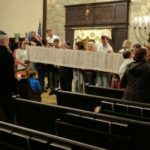 There is no question in my mind that all this and more, will easily transfer to our new home and Shul…that we have ALL worked so very hard for. Many thanks to our old Broadway home. 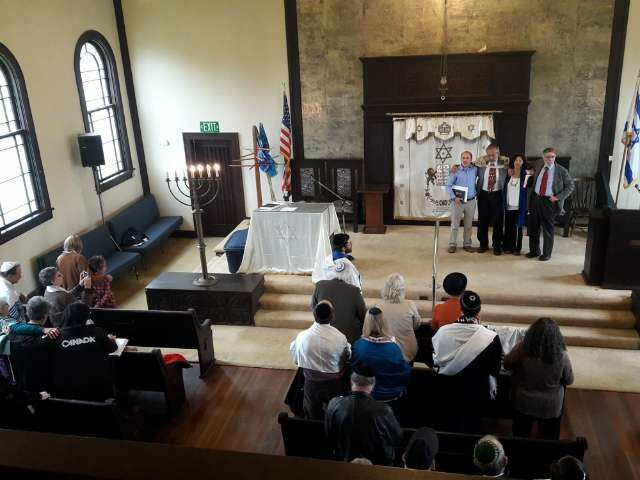 For some members, it hardly mattered whether the congregation was Orthodox or Conservative. I recall one of my many great-uncles in town who was totally secular but “very Jewish” – he just expressed his Jewishness by being an ardent Zionist. 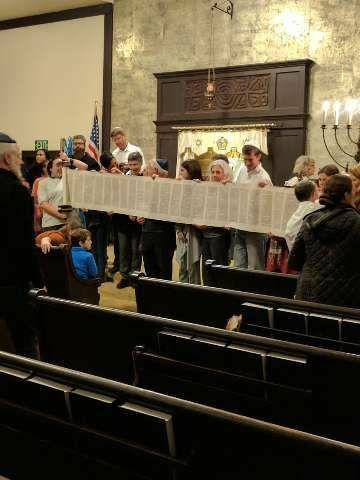 That said, to “keep peace in the family,” he would make an appearance during the High Holy Days but on at least one occasion I remember his sitting in a pew holding and reading a newspaper rather than the machzor! When the shul was dedicated (in the 1920’s), almost all of the members lived within relatively easy walking distance. 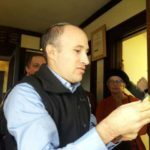 By the early 1950’s a significant percentage lived on Bellingham’s Southside which necessitated driving to shul for Rosh HaShanah and Yom Kippur. So, what happened? Many, including my Dad, would drive but park a couple of blocks away – and then our family would walk the remaining distance. 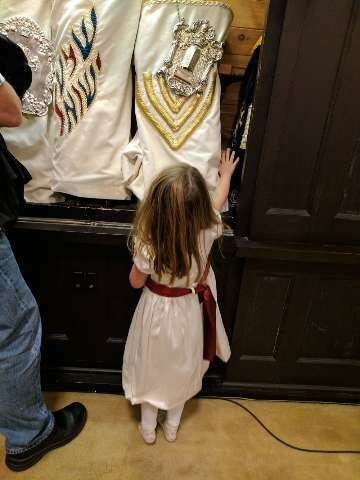 Even so, there was still something of an “old world” quality to the shul in those days. 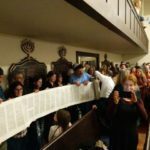 Not only did some women sit apart from their husbands but when someone was “talking in shul,” one or more of those gathered at the bima in the center of the shul would either “shh” that person rather pointedly or bang one of the machzorim (High Holy Day prayer-books) on the lectern to silence the miscreant! 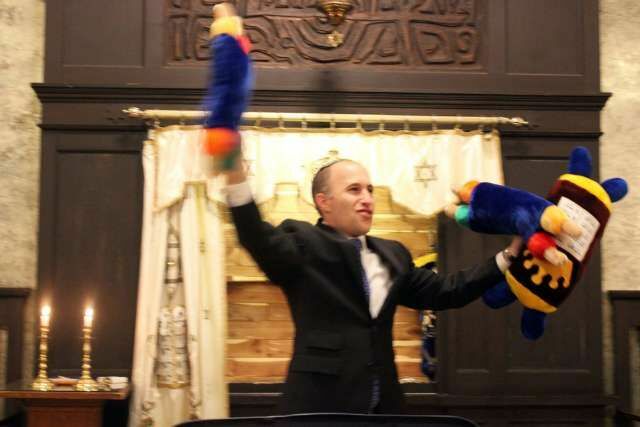 For us “kids,” the High Holy Day services at times seemed interminable. I recall that some of us would walk outside as frequently as we thought we could without being reprimanded by our parents (!). In my case, that meant trying to catch grasshoppers in the high grass on the Irving St side of the building or walking over to the home of Fannie Thal one of my great-aunts (and mother of the late Shirley Zell) on nearby Peabody Street, especially if a World Series game was on TV! As for other memories…I seem to recall that there was a mikveh in the back area of the lower level. I have no idea when it was removed or how the decision was made. I also recall that one of the main sources of fund-raising was a “rummage sale,” held at least annually. Following the retirement of Fred Gartner, the congregation engaged Harold Rubens (spelling? 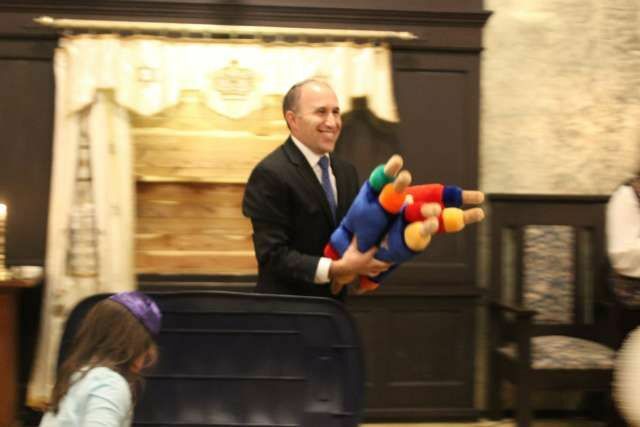 ), a Reform Rabbi. Coincidentally, both Gartner and Rubens moved to town from Vancouver. The CBI demographic changed a great deal during the 1960’s and 1970’s – younger adults had moved into town from all over the U.S. and there was a much higher incidence of intermarriage. In that same time period, almost all of the “old timers” who favored a much more traditional congregation had passed away. In those days, I was the Associate Dean of Hebrew Union College in Los Angeles and, in that capacity as well as being someone with deep family roots in CBI, I traveled to Bellingham with Rabbi Morris Hershman, then the Regional Director of the UAHC (now URJ) to meet with the Board of Trustees to encourage the congregation to affiliate with the Reform Movement. Not to be too flippant about it, but essentially our message was “if you look like a duck, act like a duck and pray like a duck,” it may be time to recognize that you are a duck!! 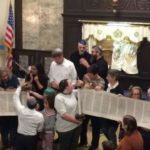 From that time forward, all the rabbis have been Reform – all of them graduates of the Hebrew Union College. Consequently (and to my delight as the Senior Vice President Emeritus of the Union for Reform Judaism) Beth Israel’s members take advantage of our Reform Movement’s biennial conventions, our Religious Action Center in Washington DC, the North American Federation of Temple Youth and Camp Kalsman, a fabulous facility serving youngsters from Reform congregations throughout the Pacific Northwest – all of this being a “far cry” from the days when Emil, Mary, Jon and I were preparing for our b’nai mitzvah ceremonies in the early 1950’s! 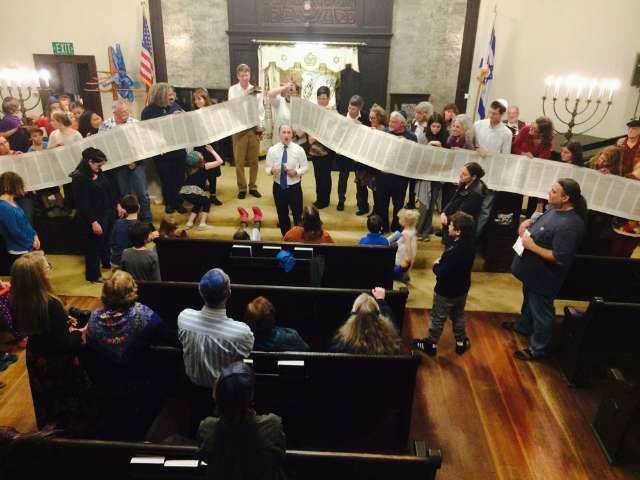 Congregation Beth Israel has a rich heritage that dates back to the early 1900s. Fleeing from pogroms and restrictions in the Russian Pale of Settlement, Jews immigrated to the U.S. in vast numbers between 1880 and 1924. Among them were families from the shtetls of Skopishok and Rakishok, in northeastern Lithuania. In 1898 or 1899, the first of these families arrived in Bellingham. We don’t know why they chose to come here, although legend has it that the initial immigration was connected with the boom associated with the Klondike gold rush in Alaska. These early arrivals were soon joined by relatives and additional families from the same area of Lithuania, all of whom seemed to be somehow related. Around the same time or slightly earlier, several German Jews moved to Bellingham and opened large department stores downtown. These German Jews were generally more assimilated and better off than their Lithuanian brethren. While the German Jews conducted business uptown, the Lithuanian families opened small second-hand shops on lower Holly Street (Old Town), or worked as delivery men and peddlers. 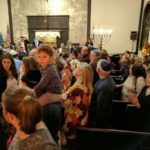 Although they had different worship styles and commitments to Jewish life, the Lithuanian and German Jews of Bellingham cooperated to some extent to establish a viable Jewish community. As the Jewish population grew, the desire for organized services grew as well. 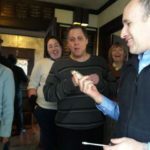 The first reference to a community-wide gathering is in 1903, when high holiday services were held in the Odd Fellows Hall on Commercial Street. (The location is now a bank parking lot.) It is unknown if services were held elsewhere during the rest of the year, but the hall continued to be rented each fall for high holiday services until 1906. By that time, the Jewish population had grown to nearly 100 people. In May 1906, the Jewish community purchased an old church building near the corner of F Street and Astor, just up the hill from the present location of the Lighthouse Mission. 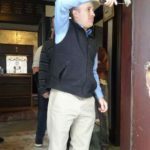 The building was purchased for $950. 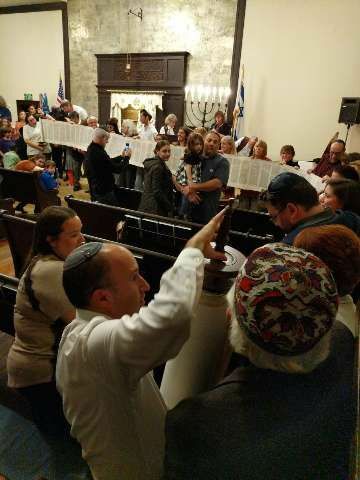 Thereafter, regular prayer services were held at the F Street shul, led either by lay leaders or itinerant rabbis. The community quickly became more structured. 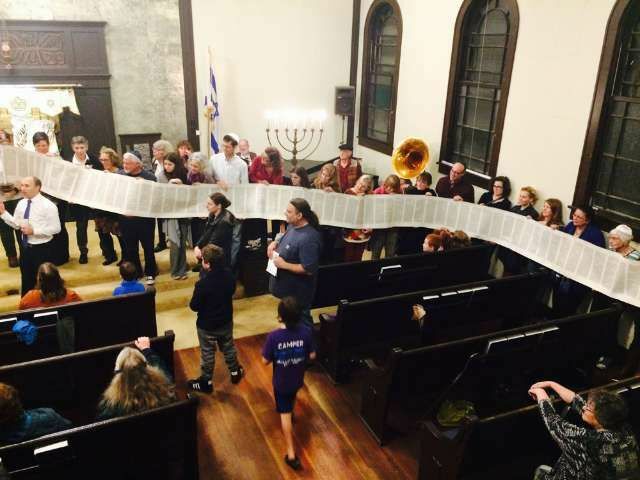 In 1907, Rabbi Joseph Polakoff was hired to serve the community, and the following year, the synagogue was legally incorporated as Congregation Beth Israel. Trustees on the incorporation papers were: L. Jacobs, P. Brenner, L. Lobe, E. Schuman. L. Schwartz, I. Schuman, and A. Levin, with L. Jacobs president. 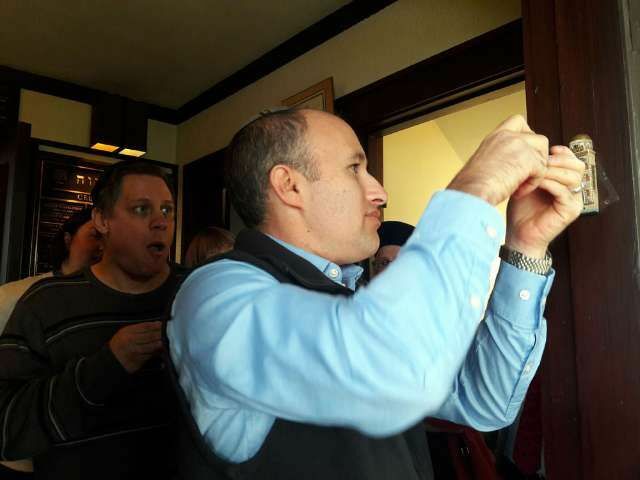 These are the founding fathers of the Bellingham Jewish community. 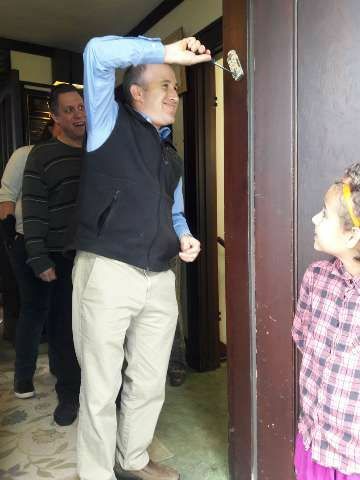 Rabbi Polakoff did not stay long and was followed by several different rabbis. In 1913, Rabbi Benjamin Cohen was hired and stayed at least four years. A cheder was active at this time, with at least 31 students, and a local chapter of B’nai B’rith was organized in 1914. 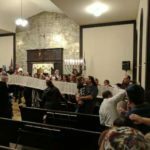 Other organizations followed, including the Sisters of Israel Society and the Ladies Hebrew Benevolent Society. The synagogue was Orthodox in its orientation. 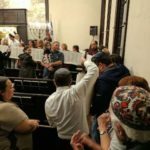 Families kept kosher, people walked to shul, and women sat in the balcony for services. 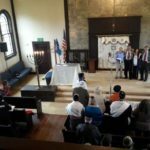 In 1925, a new synagogue was dedicated at the corner of Broadway and Irving to serve the religious needs of some 45 Jewish families in Bellingham. 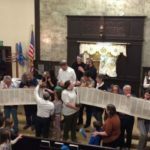 The Torah scrolls were carried under a canopy through the Lettered Streets district to the new building, where the dedication services were attended by over 400 people. 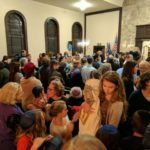 The synagogue was filled to capacity, and people overflowed down the steps. 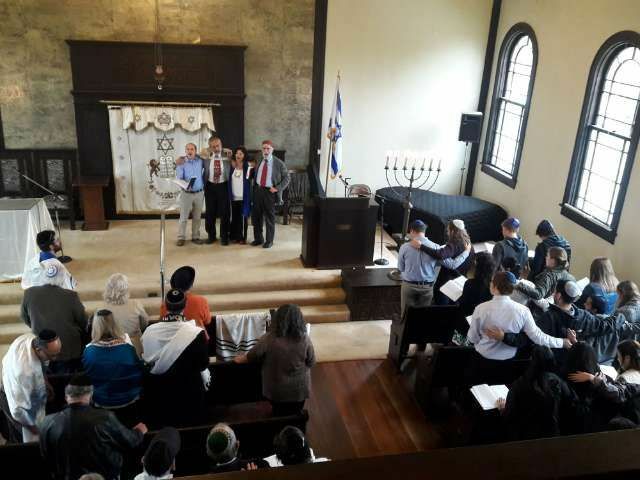 The speakers included rabbis from Seattle and Vancouver, as well as Mayor Kellogg and other prominent members of the community. 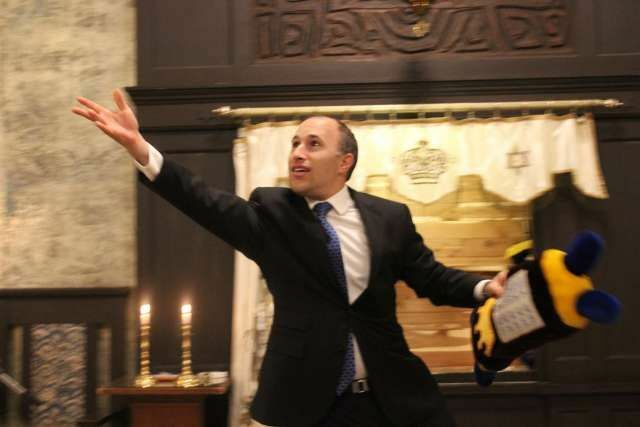 Also taking part was the new rabbi, Max Gottlieb, who had recently arrived from Oakland, California. Rabbi Gottlieb and his wife Sarah served the congregation here for 10 years. The depression years were difficult in Bellingham, as elsewhere. 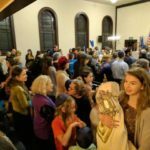 With few job opportunities, many young people moved to Seattle or elsewhere to find jobs, and the Jewish community slowly declined in numbers. A local branch of Hadassah that had begun in 1927 died out in the 1930’s. (Around the time of World War II, however, it was revived and continues to this day.) 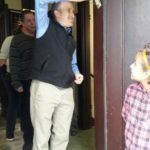 The community was served by Rabbi Henry Okolica for several years in the early 1940’s, but after he left, the community was not in a position to hire another rabbi. 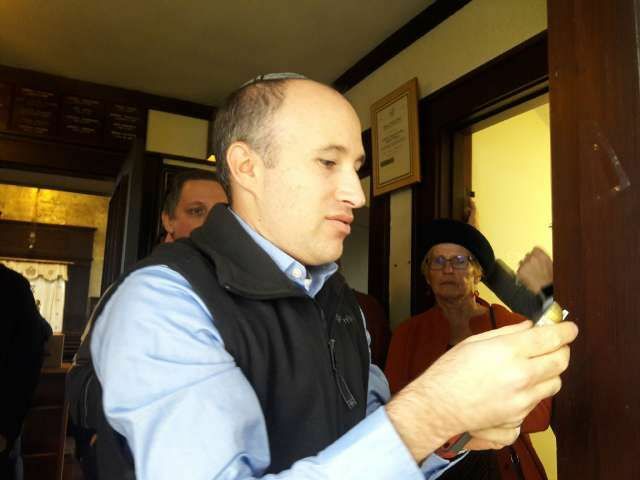 Services were held with lay leaders and visiting rabbis for the next 10 years. 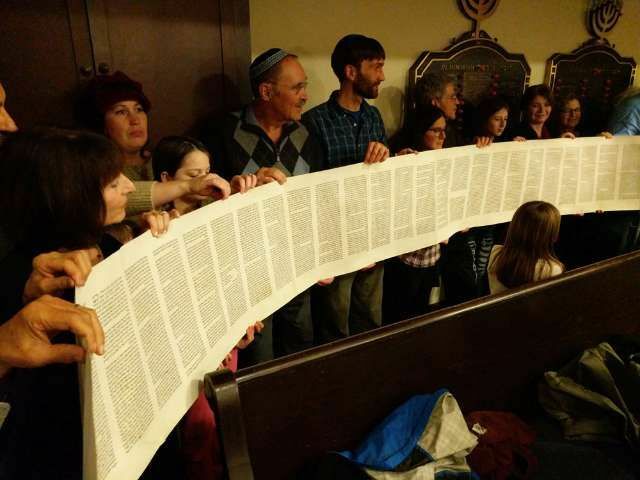 In the early 1950’s the community found several young people approaching bar mitzvah age, and a decision was made to hire someone to prepare them for this event. Fred Gartner, a cantor in Vancouver, British Columbia, accepted the appointment and moved to Bellingham with his wife Emma. 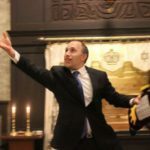 Although never officially ordained as a rabbi, Rabbi Gartner took on the responsibilities associated with that office and was recognized by the Jewish community as their rabbi. 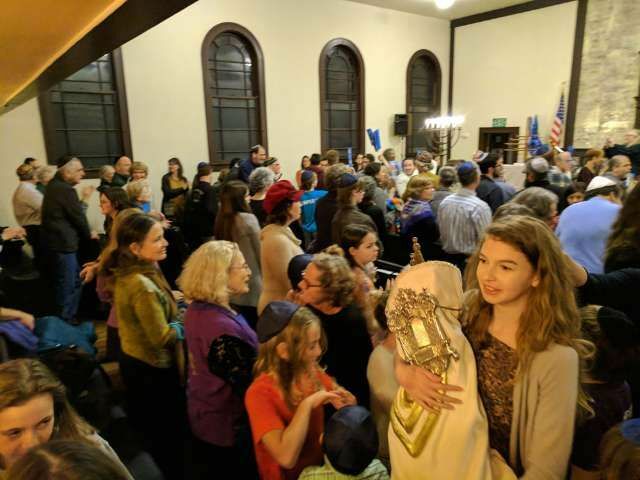 Rabbi Gartner served the Bellingham community over 30 years, energizing synagogue life, and overseeing a period of significant growth and change. 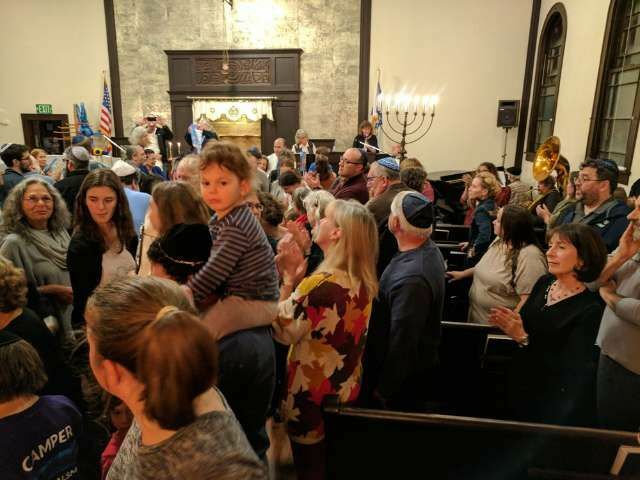 Although the synagogue was still officially orthodox when he arrived, most of the members were active participants in the non-Jewish life of Bellingham, and they saw the need to modernize synagogue activities as well. 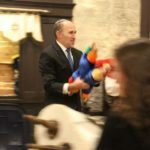 At one service, Rabbi Gartner finally invited the women in the balcony to join the men on the main floor. This move had the support of the congregation for the most part–only one old time member walked out. 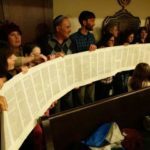 Women became more and more a part of synagogue life. 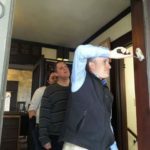 The Sisterhood (originally known as the Beth Israel Ladies Auxiliary) was organized in 1952 at the home of Rose Thal, with about 25 women present. The first elected officers included Estelle Greenblat, President, and Shirley Adelstein, Vice-President. 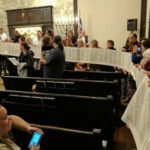 The minutes of the Sisterhood’s meetings document the many ways they contributed to the life and continuation of the synagogue. 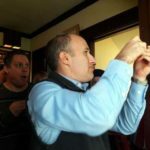 For the next 30 years after Rabbi Gartner’s arrival, the synagogue was Conservative in its orientation, although as far as we know, it never formally affiliated with the United Synagogue of America. 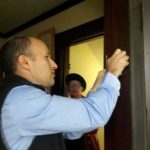 Rabbi Gartner became very active in interfaith dialogue and outreach to the Bellingham community, making people more aware of the synagogue and the role of its members in the community. 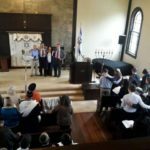 He was joined by other members of the congregation, notably Frances Garmo, who spoke to schools and civic organizations about Judaism, the Holocaust, and Jewish culture. In 1982, Rabbi Gartner retired. Rabbi Harold Rubens replaced him, but remained only two years. 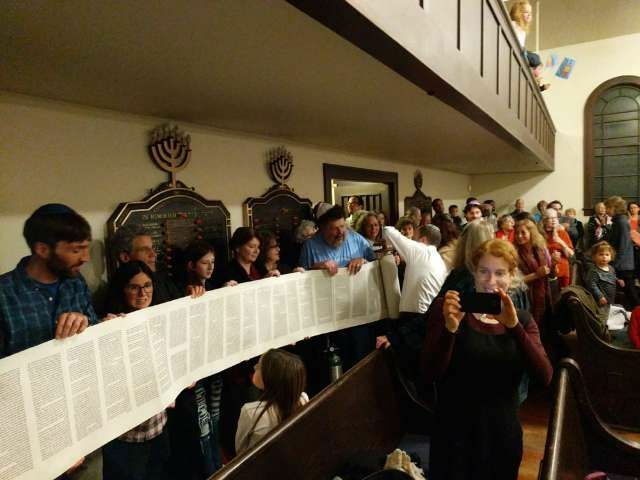 In the process of searching for a new rabbi, the congregation began to actively consider the synagogue’s affiliation. 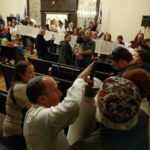 Various speakers were invited to address the value of affiliating with the Reform, Reconstructionist, or Conservative movements. 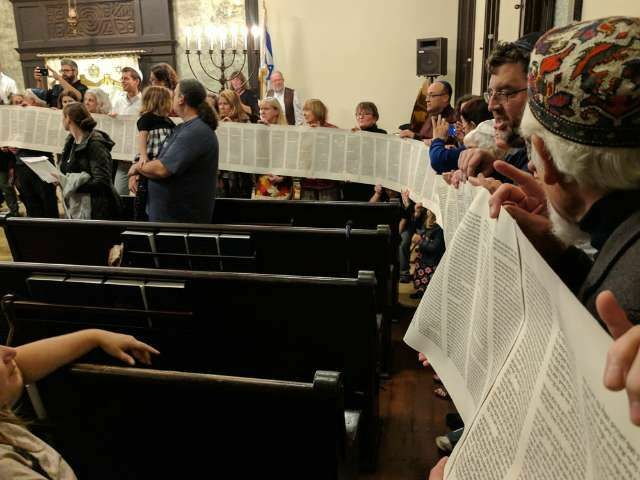 After months of consideration and discussion, the Board recommended in early 1986 to affiliate with the Reform Union of Associated Hebrew Congregations. In 1987, the congregation hired Rabbi Michael Oblath to serve as their first Rabbi under their new affiliation with the UAHC. 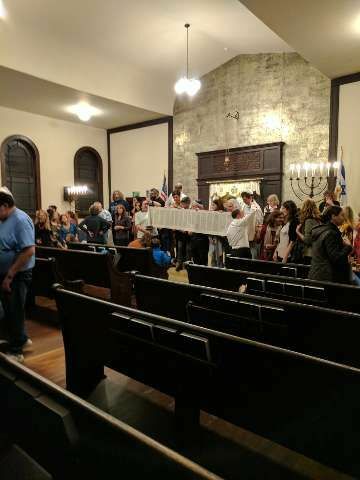 Synagogue membership continued to expand, and it became obvious that the congregation would soon outgrow the building they were in. 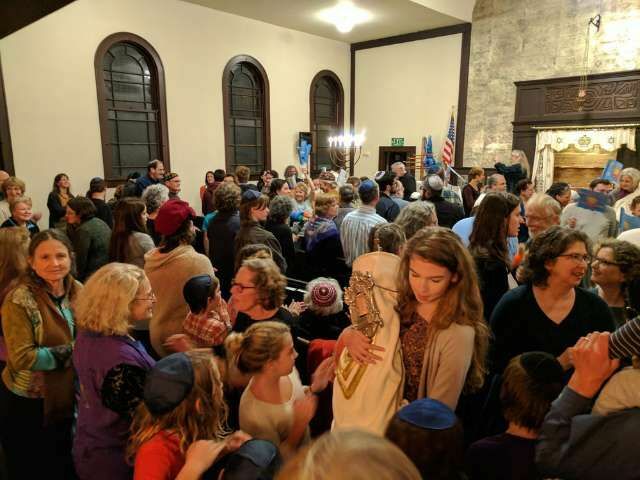 High holiday services had become increasingly crowded, and there was no longer enough classroom space to meet the needs of the religious school. Therefore, in 1990 a Long-Range Planning Committee chaired by Dan Raas was established to consider future facility needs, including the question of whether to expand at the present site or build elsewhere. 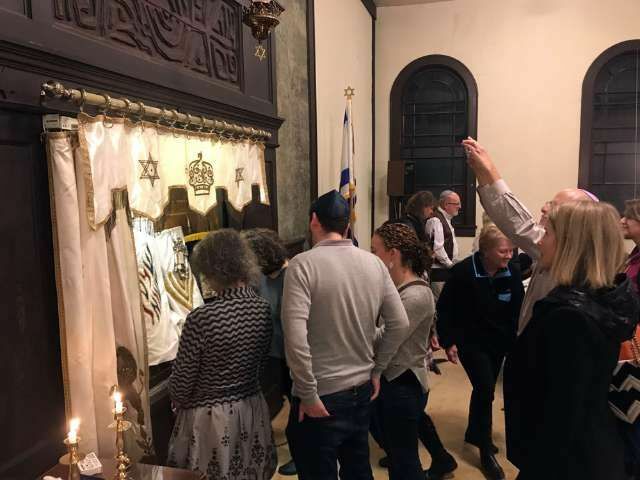 In the meantime, the congregation had been struggling with issues like participation of non-Jews in services, burial of non-Jews in the cemetery, and the question of patrilineal descent. Disagreement between members on these issues was heightened by positions adopted by the national Reform movement. 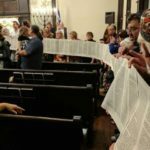 In 1993, a small number of members broke away and established the Conservative Congregation Eytz Chaim. 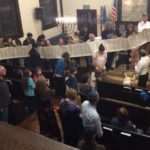 For several years Eytz Chaim members held services in a variety of locations around the city. 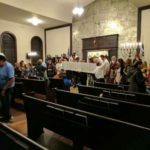 Then in the Fall of 1996 they dedicated their own synagogue building near the corner of Eldridge and Walnut, in an old parish hall turned over to them by St. Paul’s Episcopal Church. Rabbi Oblath resigned in 1996 in order to pursue graduate studies at the University of California/Berkeley. 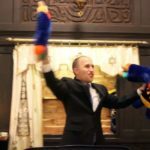 His successor was Rabbi Yossi Liebowitz, raised in Brooklyn, and most recently from a pulpit in Palm Desert, California. 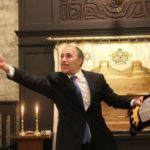 Rabbi Liebowitz immediately energized the services with new music and song. 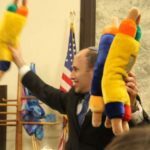 He taught a variety of adult education classes, and initiated a scholar-in-residence program with speakers such as Rabbi Abie Ingber and Rabbi Lee Bycel. 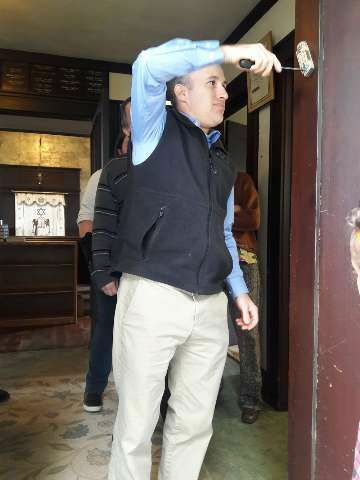 When not attending to his rabbinical duties, Rabbi Liebowitz’ interests included searching for meaning in old episodes of Star Trek, as well as excavating dinosaur fossils at various points around the North American continent. 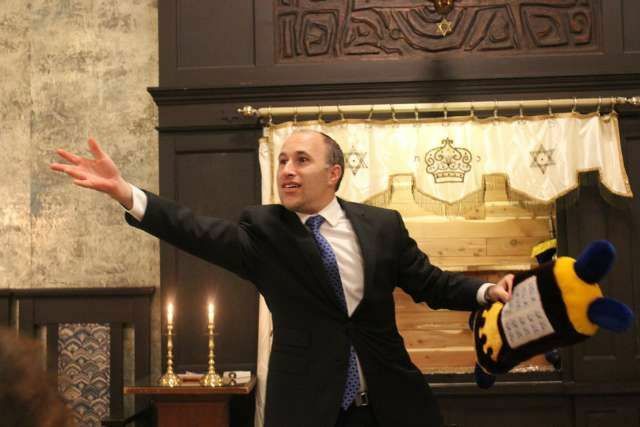 Rabbi Liebowitz left Bellingham in June 2002 for a pulpit in Sacramento, California. 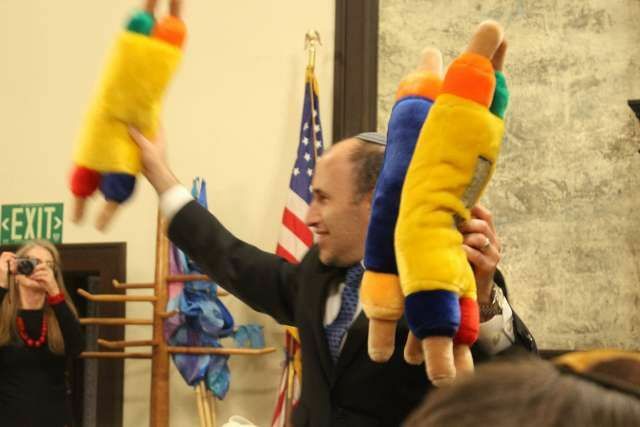 Rabbi Yossi Zylberberg served the congregation from August 2002 until June 2005. Rabbi Cindy Enger served as our rabbi from July 2005 through June 2012. Under her leadership our congregation grew significantly to more than 200 households. 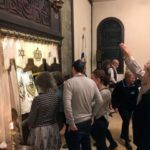 Through her spiritual guidance Rabbi Enger offered us a variety of new learning and worship opportunities. Construction of our new synagogue began under her tenure. The congregation continues to grow, with current membership at more than 200 family units. It maintains an active religious school as well as youth groups, a lively Sisterhood, Brotherhood, and numerous committees and study groups.